I’ve been missing for almost a month because life got a little busier than expected and I didn’t exactly plan for it although I do often try to. I’m back with a bang and sharing with you some of my favorite pieces from this new style trend – resin earrings! While perusing Pinterest, I came across some lucite arm candy and fell for all of the bracelets. This sent me down a hole of searching for lucite jewelry – collars, earrings, and bangles. I found lots more pieces that I liked but it’s tough trying to make a collage of clear things. 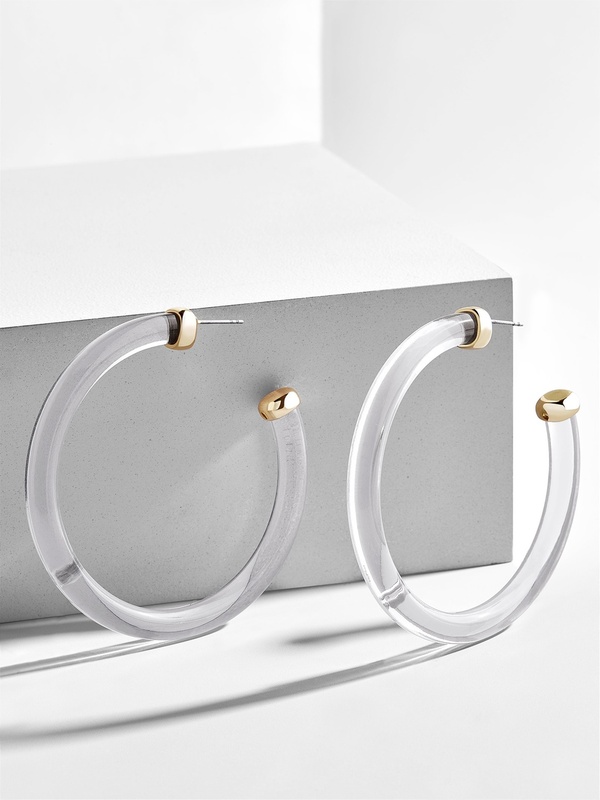 Get these lucite hoops at Baublebar.